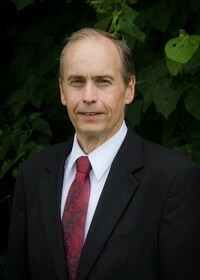 Dale began his career in funeral service in 1980. He is a graduate of Worsham College of Mortuary Science, where he was awarded the Restorative Art Award for his academic achievement in restorative Art. He and his wife, Tonya were married on September 29, 1990. They have two sons. David and Matthew. They became part of the Cutler Family on December 1, 1993. They worship at La Porte Missionary Church. Dale is a Funeral Director and Tonya is our Administrative Assistant. After 20 years of service with the Cutler Family, they became owners of the funeral home on January 1, 2012. Rob obtained an associate's degree in applied science from Ivy-Tech State College in December of 2004. 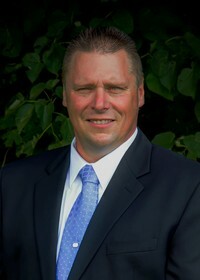 He is a licensed funeral director and embalmer in both the states of Indiana and Illinois. He has been with Cutler's since 2013, bringing with him a great deal of experience. Rob is a supporter and volunteer for the LaPorte County Republican Party. 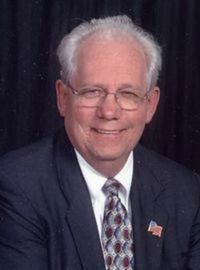 Bob Cutler, Jr., fourth generation funeral director, received his funeral director's license in 1971 after graduating from Worsham College of Mortuary Science. 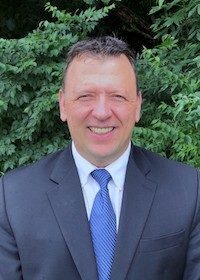 He and his wife, Cindy, have two sons: Thaddeus, wife-Laura, is a graduate of Indiana University and Layton is a graduate of Purdue University. 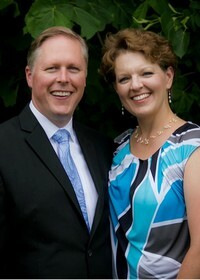 Bob and Cindy are very active in community affairs and worship at La Porte Assembly of God Church. 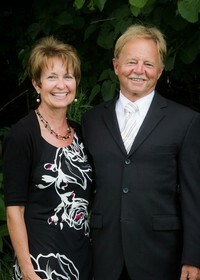 After 42 years of service, Bob and Cindy retired on December 31, 2011. The Cutler staff continues to serve all families with faith, compassion, integrity, and friendship. Amanda and Vince Bowman became a part of the Cutler Family in February of 2007. Amanda is our Office Manager. Vince is a Police Officer with the City of LaPorte as well as being one of our Funeral Assistants. They have a son, Logan, and two daughters, Harper and Margaret. They worship at First Church of God. Amanda heads up the Cutler Cares/Bundle Up La Porte Clothing Drive each year. We are also very proud of her for being instrumental in starting the "Precious Memories Program" through IU Health La Porte Hosptial. We are very blessed to have the Bowman Family part of the Cutler Family. Laurie is our Pre-Need Advisor. Laurie Sabie became part of the Cutler Family in 2016. She and her husband, Rob (a Battalion Chief with the La Porte Fire Department) live in Union Mills. The Cutler Family knows that each and every person matters, and Laurie is experienced in helping a person work through their own memorialization. Today, there are so many ways we can remember and honor the unique lives that we live. Memorialization can be a personal experience that reflects the personal values, interests and experience of our lives and help those who we leave behind to remember what matters the most. 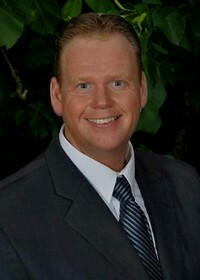 Andrew has been associated with funeral service since 1980. He and his wife, Cathy, live in Michigan City, where Andrew is a firefighter with the Michigan City Fire Department, and Cathy is a teacher at Joy Elementary School. They have two daughters, Hannah and Emily. They enjoy camping, fishing, and sports. They worship at Queen of All Saints Catholic Church in Michigan City. Andrew wears many hats at Cutler's, everything from building maintenance to accounting, to name a few. We are blessed to have a third Knouse Family member as part of the Cutler Family. 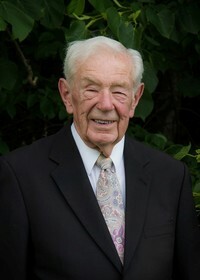 Ken's interest in funeral service dates back to the late1960s. He was in junior high school in North Liberty. When his grandmother died, he had the opportunity to observe funeral directors helping his family. The great value of their service was obvious, and he felt a calling to be involved in some way. Even though his life went a different direction and he did not become a funeral director, funeral service was always in the back of his mind. In 2011 he became part of the Cutler Family. Ken is honored to work with a group of kind and compassionate individuals with a common goal of helping families cope with their loss. He and his wife, Nancy, live in New Carlisle, and are active in their church and other activities in La Porte. Tony Williams became part of the Cutler Family in October 2014. He holds a B.A. in Political Science/American Studies from Anderson University, Anderson, Indiana and an M.A. in Public Administration from Miami University, Ohio. His father is an ordained minister and his exposure to funeral service began at an early age. Tony is the proud father of a terrific daughter, Natalie, and is blessed to worship at First Church of God in La Porte. He is honored to be able to serve his community through Cutler's and strives to bring integrity, compassion, and caring to the process of assisting families in coping with one of life's largest challenges - the loss of a loved one. In August 2001, after a fifty-year career in sales, John "Jack" Hodowal became part of the Cutler Family. Jack honorably served our country as a Navy Veteran. Jack passed on September 22, 2015 at the age of 85. We were blessed to have Jack as part of our Funeral Assistant Team. We honor his memory by continuing to proudly display his staff photo as a tribute to a life well lived. Dennis, a 49 year veteran in funeral service in La Porte County, became associated with the Cutler Family in 2000. He passed on June 8, 2014, and as a loving tribute to he, his wife, Karen and their family, we display his photo in honor of the countless thousands of families he served over the span of five decades.